Independence of judiciary is in the very essence of our constitution, this also is a pre-requisite for safeguarding the democracy against not-always-just political intentions, which many a time are driven by the greed to extract maximum out the constitutional setup, even if that demands arbitrary amendments to this supreme of the land. Had there been a political/ executive touch in the judiciary, the forty-second amendment to the constitution that struck down powers of the Supreme Court to a catastrophic extent and such other politically motivated stands would have stripped us of our fundamental rights and shifted the sovereignty exclusively to the parliament. Now that the fight of justifying the National Judicial Appointments Commissions Act 2014 and the ills of the collegium system has landed up in the Apex Court, it is more than warranted that the parties to the case consider this as not being ‘exclusive judiciary’ or ‘exclusive legislature’, but from the perspective of the makers of the constitution. This isn’t for the first time that appointment of constitutional courts’ judges through the creation of the collegium has become a victim of unwanted controversy. To steer clear of the executive and legislature with respect to appointments in the judiciary, the court evolved this system, which however, does not find place in the constitution of 1950 or any subsequent amendments; we all know how the weapon of ‘partially rigid and partially flexible’ system for amending the constitution was exploited by previous governments from time to time, placing supremacy of the original constitution at stake. Ever since the ‘opinion’ of the Supreme Court given in the Third Judges Case, the system has been criticized by jurists and legal experts, even by the then President of India. 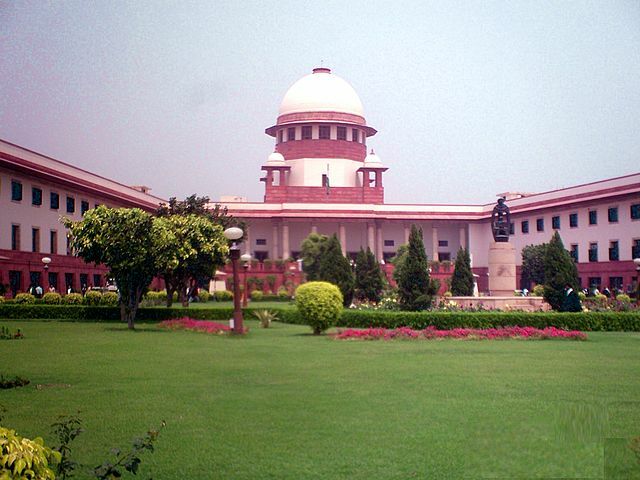 It is often claimed that lobbying has become an inevitable part of the judiciary in post-collegium era, and judges, rather than lessening the burden of ever-high pending cases, secure a position by winning over the collegium members; let us not then also question the evident lobbying deep-rooted in all government functioning, from selection and transfer of ministers to placement of bureaucrats; should then the judiciary not step in to curb such ‘biased decisions’, would then the governments accept such infringement of their ‘exclusive’ rights as are in the constitution? But the defending of the NJAC in the ongoing Supreme Court hearings has turned into a bitter fight where the hearing bench of five judges has presumed the role of a party to the case, more because they have been compelled so, and the Attorney General has been asked to put up evidences that show inadequacy of collegium. The opaque collegium, as is named by its sheer opponents, certainly has some flaws as far as it allows ‘judges appointing judges’, which in the very verbatim tone indicates prevalence of favor in some if not all appointments. This, however, cannot render righteousness to the NJAC where the executive and even persons from outside the field of judiciary and legislature may relish the opportunity of appointing judges. It can be agreed that the concept of collegium appointments in its entirety may not be exceedingly transparent; hence the composition of collegium to make it more transparent and the consultation broad-based, as advocated by former CJI Justice Sathasivam, can be deliberated upon, putting this ongoing and unwanted ruckus to a shrewd end. As said earlier, why not peruse this subject with the eyes and intent of constitution makers who made ‘independence of judiciary’ the spirit of this supreme law, and even we, having preserved our rights by timely interventions of courts and through doctrine of basic structure that enables judicial review of any of the government’s move, must advocate stringent non-interference of legislature and executive in judicial machinery. Let not a day arrive when the courts of India become a power in the hands of political men, who are free to exploit it for their own good, let not the era of ‘Indira Constitution’ be resuscitated. Powers to executive, though with eminent jurists, will defeat the soul of the constitution; also, we do not want delays in the appointment of judges as is seen in crucial appointments, for say heads of PSUs and CPSEs and of CVC and CIC. ‘Appointment’, be it of the judge of the constitutional court, or of ministers assisting the Prime Minister/ Chief Minister, or in any other office, which is directly or indirectly accountable to the public at large, shall not be the prerogative of an individual/ cluster that can be influenced. But, putting this system to end is improbable, since any agency/ system in place for appointments will comprise of persons and such persons, whether independent or from within the cluster, can never be immune from influences. Nevertheless, what happens with bureaucrats and the CBI cannot be made a scenario in the Indian judicial setup, which is the savior of our constitutional setup. Many High Courts are awaiting appointment of Chief Justice and also worrying is the vacancy in offices of high court judges; resolution of NJAC vs. Collegium issue will not only pave way for such appointments but will also speed up justice for the common man. Fight must be brought to such an end that neither the independence of judiciary gets compromised nor does this become an ego conflict between judiciary and government; most judicious is to rework flaws of the collegium and let the judiciary remain a sovereign domain. This entry was posted in blog on June 16, 2015 by admin. If judiciary and parliament will have no common thought process for selection of judges it will be very difficult to preserve our democracy. Problem is that nobody wants to bend. You say lobbying exists everywhere which is almost right but should lobbying be allowed in judiciary? I am confident that you answer will be no so the answer is clear- NJAC to be implemented soon. Only on few occasions you will see all political parties on one stand. Like when RTI for political parties was considered or exclusion of criminals from parliament. This is same case when all political leaders want influene in judiciary. You have not mentioned the way of removal of judges of high court and supreme court. Even in this parliament can take action in cases of misuse of office by judge. Then why not in appointment boss? collegium will not be applicable for future appointments. This means that we will have no judges in HCs and SC. Ugly battle, not warranted. Petitioners against NJAC Act should take back the petition or the bench should scrap it. which is the matter of worry because these jurists will act on the orders of their political masters. What constitution? They have changed it so many times to suit their needs. Then they add any law in the ninth schedule where courts have no say. Constitution has very limited power now. Don’t criticise judicial appointment commission. NJAC can never be scrapped. Wait and see the same. See what ever they do they should atleast make appointments transparent and quick. This problem is going on since 1990s and cases in judiciary are getting piled up. I do agree with all the ideas you have offered on your post. They are very convincing and can definitely work. Thank you for the post. Could not stop myself from appreciating your article. An excellent one. it is an amazing piece of writing designed for all the online visitors. they will get benefit from it I am sure. It is hard to find experienced people for this subject, but you seem like you know what you are talking about. You have touched some nice things here. Any way keep up writing. I just want to say I am just all new to blogging and site-building and absolutely enjoyed this web site. Likely I want to bookmark your site . You actually come with amazing writings. Bless you for sharing your web page. Multiflavour … Nice thought, thanks. it is very straightforward to find out any topic on net as compared to books, as I found this article at this web site. I was very happy to search out this internet-site.I wished to thanks for your time for this glorious read!! I definitely having fun with each little little bit of it and I have you bookmarked to check out new stuff you blog post. Kudos for putting up such an amazing work. it is actually a nice and helpful piece of information. I am satisfied that you just shared this helpful info with us. Please keep us informed like this. Just finished reading your article and wanted to congratulate you on your compelling abilities. Good luck for the future work. Hurrah, that is what I was seeking for, what a material. present here at this web site, thanks Dr gupta for this post. There are certainly a number of details like that to take into consideration. That may be a nice point to carry up. I supply the ideas above as basic inspiration however clearly there are questions just like the one you bring up where a very powerful thing shall be working in trustworthy good faith. I don?t know if best practices have emerged round things like that, but I’m certain that your job is clearly identified as a good game. Each girls and boys feel the impact of just a second’s pleasure, for the remainder of their lives. You definitely put a fresh spin on a subject that is been discussed for years. Wonderful stuff, just excellent. Likely I want to bookmark your blog . You actually have terrific articles. I am genuinely glad to glance at this webpage posts which consists of tons of useful facts, thanks for providing such statistics. You have made some decent points there. Thank you for the introduction to the new website. I will be re-visiting it many times, but on a fast run-through it looks really great. Hi there. This post could not be written any better. Thank you for sharing. Your article has been an inspiration to me. It has given me hope. Keep up the good work. Way cool. Some extremely valid points. I appreciate you penning this post and the rest of the website is really good. I totally appreciate your insights. Keep rising. What I have seen so far is brilliant and everyone involved should be congratulated. I can see me spending the rest of the evening perusing the site. Just when I thought I would like an early night. You are so cool. I do not believe I have read something like that before. Hi there to all, how is the whole thing, I think every one is getting more from this web site, and your views are pleasant designed for new users. Very great post. I simply stumbled upon your weblog and wanted to say that I have really loved browsing your weblog posts. In any case I will be subscribing on your rss feed and I hope you write once more very soon. Way cool. Some extremely valid points. I appreciate you writing this post plus the rest of the website is really good. You seem to be blessed with a perfect blend of good vocabulary and good writing. Thoroughly admired your work. I recently had a good fortune of reading your article it is really well written with updated information. I will be returning here often now. Hello, its my first time to commenting any post. But I could not stop myself from commenting on reading through such a sensible piece of writing. I am regular visitor, how are you everybody. This post posted at this web page is really pleasant. The site looks absolutely fantastic. Well done to all involved. Very professional & the navigation is great too. Cheers. I look forward to reading your next informative work soon. Thank You. Very descriptive article. I enjoyed it a lot. Waiting to see next article soon. Great article. Keep writing such kind of information on your site. Im really impressed by your blog. I just had to drop you a line to let you know that John and I think that the website is BRILLIANT……………………… Well done. Thanks for the marvelous posting. I genuinely enjoyed reading it, you are a great author. I will always bookmark your blog and will come back very soon. I want to encourage that you continue your great work,have a nice day. Very good post. I absolutely love this site. Stick with it. Wonderful to see such brilliant post on an individuals website. You definitely realize how to bring an issue to light and make it important. More people should read this and understand this side of your story. I am regular reader, how are you everybody? This paragraph posted at this site is actually good. What a beautifully drafted article which has all the important points still its not boring. An impressive one. Best wishes for the future work. Hi there, yeah this post is genuinely nice and I have learned lot of things from it on the topic of blogging. thanks. Hi there to every one, since I am really eager of reading this weblogs post to be updated daily. It contains fastidious stuff. I commend you for your excellent writing. A well researched one.